I sit on a largely uninhabited island in the South Pacific, a penal colony of the once mighty British Empire, a Poster Nation for the social experiment called Multiculturalism: a minnow in world affairs. 55% of our exports involve sending some of the island overseas. A land mass roughly the size of the United States yet with the population of Los Angeles. I pastor a church of the natives in a small country town. Around us, according to Fareed Zakaria, there is a seismic shift of geo-political, economic and technological changes. It’s called a Post American World. Initially I thought that writing on the implications of Zakaria’s book, would mean more if I was Pastoring an American church, but as I contemplated, I realized the earthquake is rattling my island too. There are 6 major implications for Nowra City Church out of Fareed Zakaira’s book. This will paper will identify and discuss each one, concluding with a concrete strategy statement for each particular implication. The major change of a Post American world is not the decline of America, but the rise of the rest. “The Rest” as identified in the book is predominately China and India. With over 2.3 Billion people, any church mission focus excluding these two countries, is married to an old school worldview. Thank fully Nowra City Church is active in both China and India, supporting Missionaries, Church Planting, resourcing the Chinese Underground Church, and Orphanages. Zakaira identifies a “rising assertiveness amongst the population of China, with 74,000 protests in 2004 as opposed to 10,000 in 1994” (2008:110). If these protests lead to a relaxing of policies in China – which would be the hope as pressure mounts too on Chinese Human Rights, leading to greater opportunity to preach the Gospel, Nowra City Church needs to be ready to seize that opportunity. The strategy is to speak to our current Missionaries and devise a plan of action for greater involvement in China. Secondly Zakaira articulately unpacks the current state of the world. Specifically he zero’s in on Old World Models that are still touted as the answer to the world’s problems. The IMF, the World Bank and even the UN. I thought Zakaria’s observation that “the permanent members of the UN Security Council are the victors of a war fought 60 years ago” (2008:40) – was a great illustration of the West’s arrogance in refusing to change with the demands of Globalisation. Zakaria sees the rise of solution orientated NGO’s (Non Government Organizations) as a result. The implication for Nowra City Church, is that we are now entering into an era of empowered NGO’s. The church can exact real influence into Asian countries through these NGO’s. As well as the Senior Pastor of Nowra City Church, I am the National Director of Global Care, an NGO active in 5 different countries. Over the last 5 years, Global Care has experienced a significant almost exponential increase in funding, opportunities and thankfully results. The strategy is that Nowra City Church needs to expand its financial and volunteer support of Global Care, allowing it to grow and to undertake a significantly expanded poverty eradication program. Thirdly, Zakaria’s comment “Whatever happens to China internally, is likely to complicate life Internationally” (2008:117) resonates with the Australian experience. China is Australia’s biggest trading partner, followed by Japan, America and India comes in 8th. Right now we are in the midst of a mining boom with 58.8% of our exports being resources. Our economy is linked intimately with what happens in China internally. A slow down in China greatly impacts Australia. A bust in China, would be devastating for the Australian economy. Zakaira also speaks of “American Household debt at $14 trillion,” (2008:47) and the GFC as “delegitimizing America as an economic superpower.” (2008:47) During the GFC, Nowra City Church’s tithes decreased. The strategy here for Nowra City Church, is be mindful of the impact that the world ultimately has on tithes, and while God is our supply, pay down debt and expand staff and financial commits prayerfully. 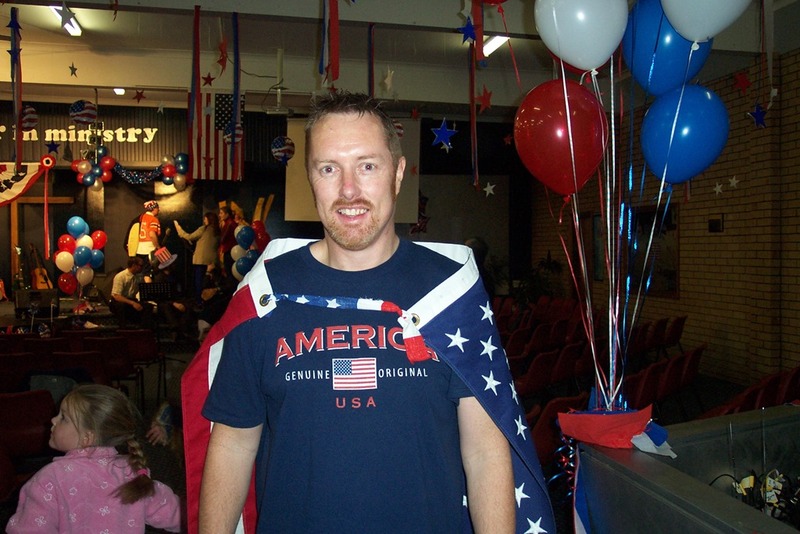 Fourthly, Nowra City Church needs to pray more for America and be pro America in its stance – which it does both already. Zakaira points out the might of the American Military machine. Some research on the Internet reveals the US spent $683 billion on defence compared to Australia’s $23 billion in 2011. With the world’s most populated Muslim nation on our doorstep, Indonesia, we need to have a healthy America to protect us – through the ANZUS Alliance. In a globalized world, Zakaira says, almost all problems spill over borders. Fifthly, Zakaira speaks of a “Global Political Awakening” (2008:36). People across the world are becoming more aware politically, and more active. Nowra City Church can see this as an opportunity to step up and campaign for things like an end to Human Slavery and Trafficking – a situation that has truly gone global. Imagine if the church could produce something like the Kony2012 Youtube clip, but on slavery and have 100 million people view it like they did Kony2012. Could Nowra City Church trigger and Arab Spring type response to Human Slavery. Lastly, the overarching thematic of the book, when read in the context of a Pastoral worldview, is that Christendom is over. The implication of this for any church is that, the church must stop assuming certain levels of religious knowledge, like the true meaning of Christmas. The church must become exceptionally good apologists and finally must lose the reliance on the Attractional Model of doing church, becoming more Missional in their approach. Nowra City Church is well advanced in its Missional Model strategic plan. Space is short to really do Fareed Zakaira’s book and its implications justice. Reality is that as a non American church, Nowra City Church is already well positioned to continue to seize hold of the opportunities that the new Post American world presents. Its not the decline of America – which is fantastic – it’s the rise of the rest. Fareed, Zakaria. 2008. The Post American World. 2nd ed. New York:W.W. Norton and Company INC.
‹ 5 Questions about the News today.